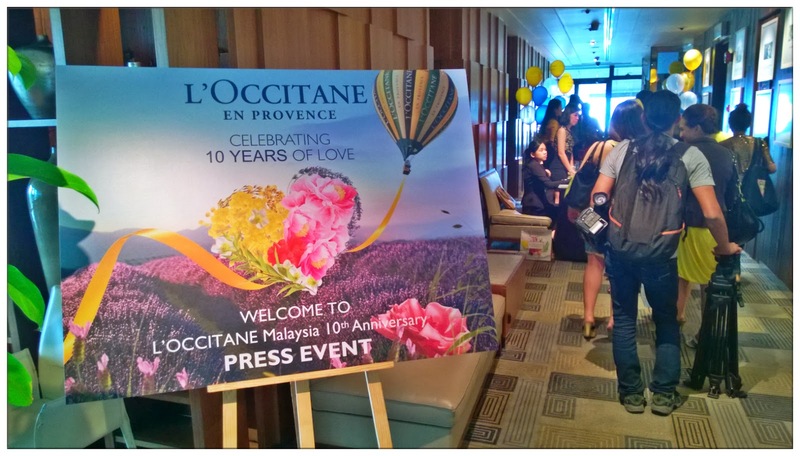 Thanks to Xavier, got invited to L'Occitane Malaysia's 10th Anniversary. 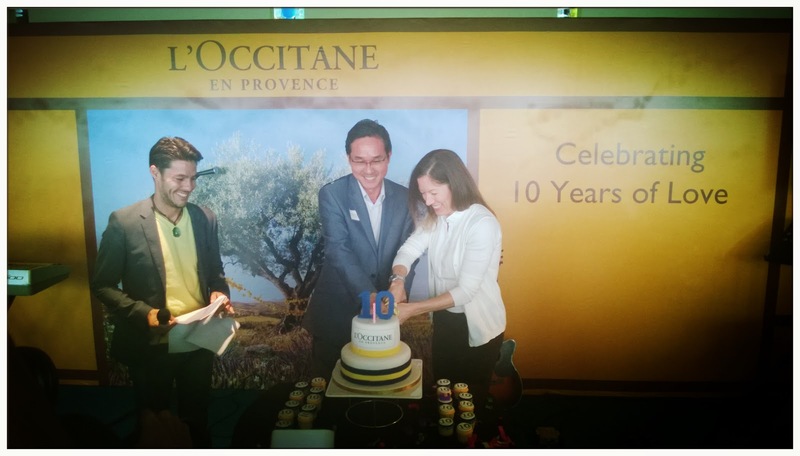 It's already 10 years since L'Occitane first started the business in Malaysia. How time flies! So glad to be invited to this joyful event with all the lovely people around. 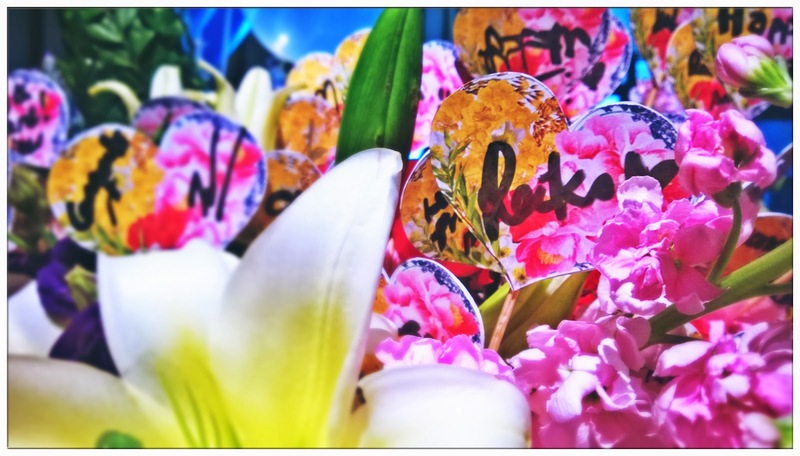 two huge bouquets with a figure "10"! 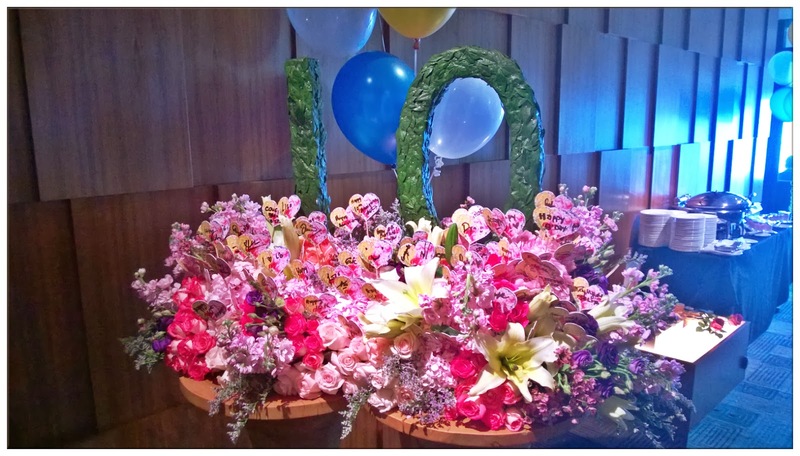 In Chinese, there's a saying that 10 means perfect (十全十美), I guess this pretty much describe the party - perfect. Star-studded, lotsa local celebrities showed up in the party to give their support to L'Occitane, and bubbly L'Occitane staffs can be seen everywhere with a big smile on their face! and balloons! I love balloons!!! Win cute gifts for yourself by playing games at the party. Bumped into Charmaine, Ponnie, Raine and some other bloggers at the party. Had some pretty awesome catch up time with each other. Even took photos at WOWPhotoBooth with Charmaine, our first photo together. lol. Good memories. The party started, it was a sunny afternoon, everything looks so well-blend together. L'Occitane, founded in year 1976 by Oliver Baussan, is a company that not just focus on organic production methods, but also socially-conscious. L'Occitane products are never tested on animals and to my surprise, Braille labelling are on each and every L'Occitane's product package which allows the accessibility of visually impaired. Olivier Baussan said: The sun smiles on Provence. Its warmth makes the soil generous and the people open-hearted. Its bright rays are reflected in the crafts, customs and traditions that have been handed down from generation to generation. The sun, the products of the soil and a love of nature are the essence of Provence. It is this essence that I wanted to share with the world. This is what inspired me to create L'Occitane. Well Monsieur Olivier Baussan, you made it! L'Occitane is now an international brand which can be found in over 80 countries and 1899 stores available worldwide. It is one successful story of an genuine entrepreneur which wanted the best for the world. 2007, L'Occitane Malaysia branched out from Kuala Lumpur and opened its first outlet in Queensbay Mall, Penang, followed by another boutique in East Malaysia at The Spring, Kuching. Two outlets were opened at Mahkota Parade, Malacca and Suria Sabah, Kota Kinabalu. L'Occitane relaunched its best-selling anti-ageing skincare collection - Immortelle Precious formulated by its signature everlasting flowers - Corsican Immortelle in year 2007. Launched first premium anti-ageing skincare product - Divine Cream in year 2009. 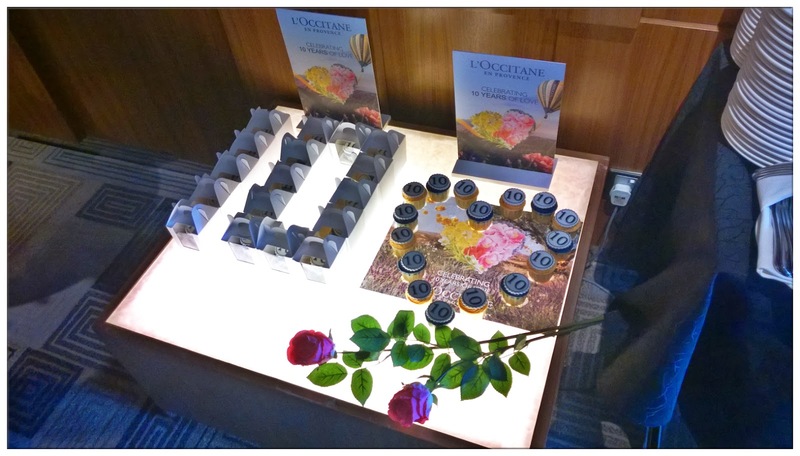 In line with L'Occtiane's CSR endeavors, the brand's first local charity fundraising initiative was launched in 2009. A total of over RM150,000 was successfully raised over the years and donated to the Malaysian Association for the Blind (MAB) to equip the association's different projects to empower the visually impaired with knowledge. 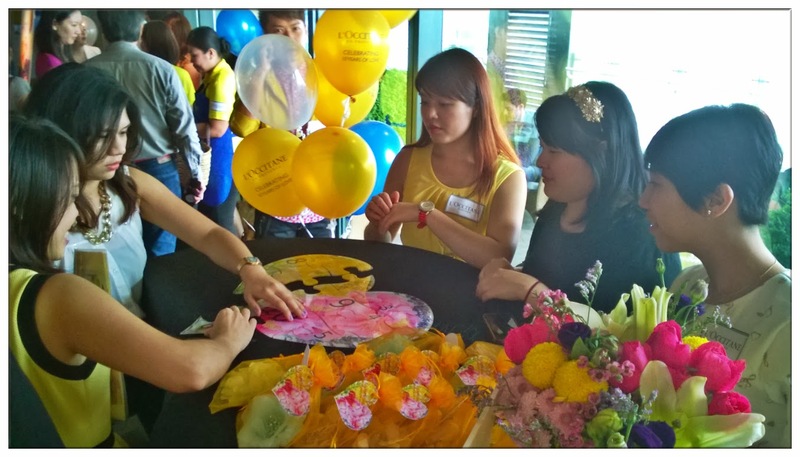 This noble effort has become L'Occitane Malaysia's annual affair where funds are raised each year to help the visually impaired. L'Occitane Malaysia was proudly be commended by Foundation France in year 2013 on its local efforts to help these people to have a better and brighter future. year 2010, L'Occitane Malaysia introduced its first eco-friendly green house concept Boutique in MidValley, Kuala Lumpr and eco-Refill packaging was also introduced to reduce the usage of plastic bottle. Melvita, L'Occitane's sister brand was opened in Suria KLCC in year 2010 and the opening ceremony was officiated by Mr. Bernard Chevilliat, the founder of Melvita. In year 2012, L'Occitane Malaysia relaunched its popular hydrating skincare collection - Angelica. Selected members of press were invited to an exclusive discovery trip to Salagon Garden, Provence. As some of you knew, that I've been taking French courses lately, and to be a part of this French-brand birthday party is really making me feel more close to France. I really admire the spirit of Olivier Baussan, and also the brand L'Occitane he created just to make everyone of us be able to get a taste of Provence in our own country. So whenever we walk into a L'Occitane boutique or outlet, it never fail to make us feels like we're at Provence. Emcee Jonathan Putra invited L'Occitane's South East Asia General Manager - Nancy Ferriman share with all the guests bout L'Occitane. I love her smile so much, and things she said during the tête-à-tête session. "L'Occitane always show that beauty is more than just skin deep. 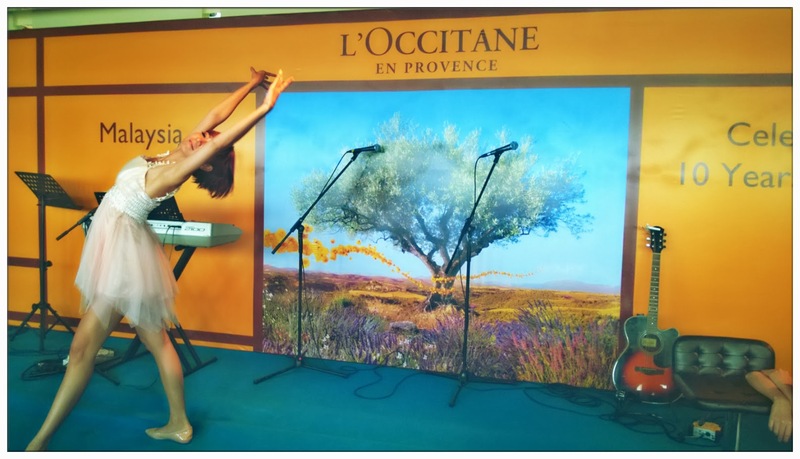 It is not just organic beauty products that L'Occitane were promoting, but a healthy lifestyle that helps its customer to shine from the inside." Nancy said. You can really tell that by looking at the glow on her face. 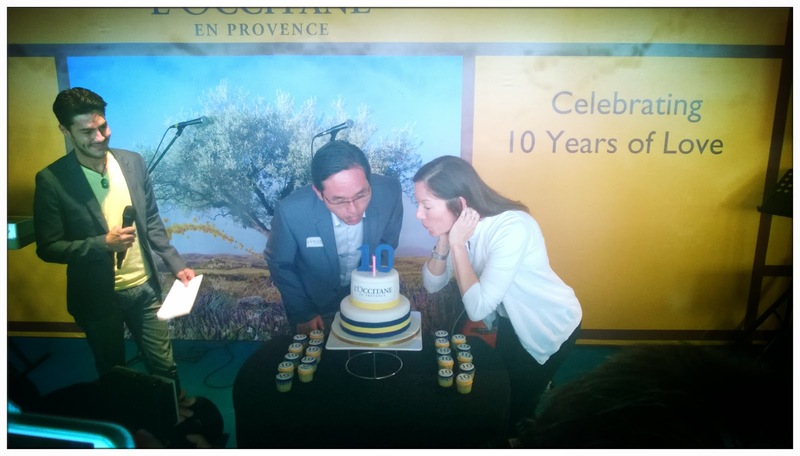 Cake cutting session followed after, and Mr. Tan Seong Teck, the director of L'Occitane Malaysia were invited on stage to cut the cake with Nancy Ferriman. Mr. Tan, Madam Nancy and the 10th year serving employees. 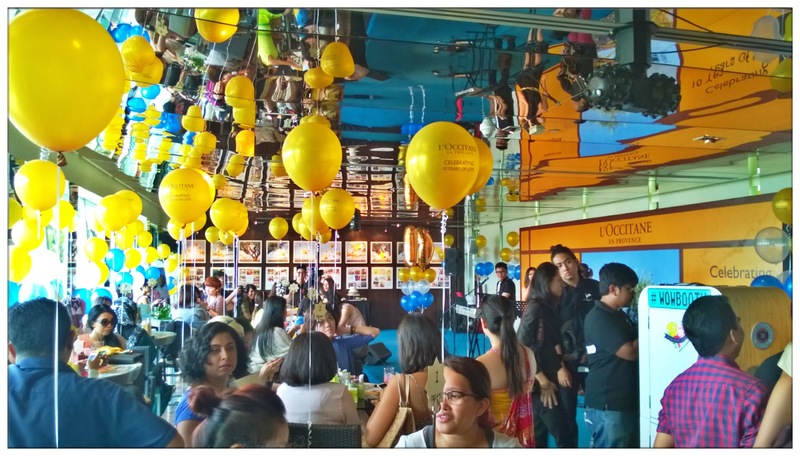 The party ended with a lucky draw session and guests who attended the party that day leave with goodies from L'Occitane and also a smile on their face. It was a successful party, and I'm glad I'm one of them to witness this blissful event. Psst! L'Occitane is going to launch their online store soon! Now you can buy L'Occitane products online, anywhere, anytime!